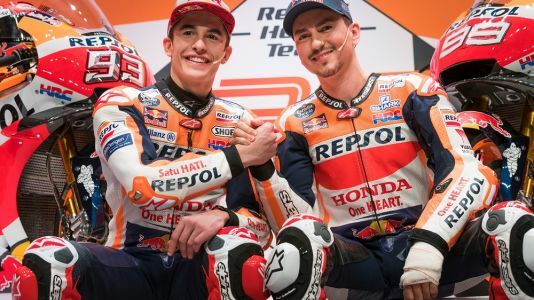 A month ahead the 2019 MotoGP season opener at Qatar, the Repsol Honda team released the official team photos of Jorge Lorenzo and Marc Marquez. 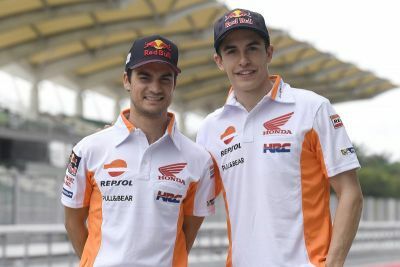 Honda's Marc Marquez may still be recovering from winter surgery to his left shoulder, but that didn't slow him down on the 1st day of 2019 MotoGP testing. 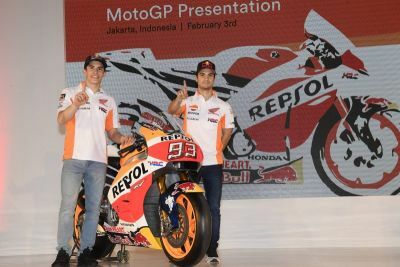 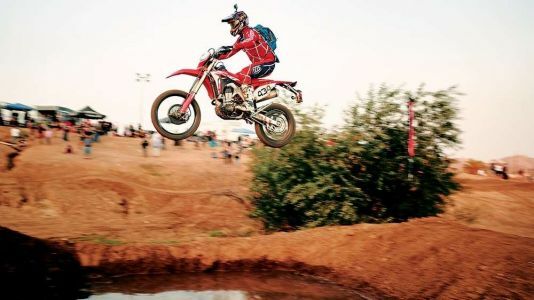 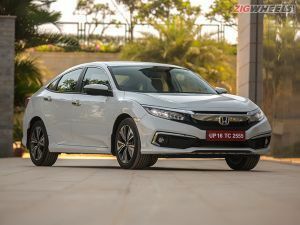 News Honda shows off its factory team livery for the 2019 MotoGP season Take a sneak peek at the Repsol Honda MotoGP team livery for 2019.